It is a vitamin for alcohol used by adults to drink alcohol in a healthier and happier way. It is not a hangover cure as thought by many. It is the world’s first daily multivitamin created specifically for healthy people who drink alcohol. 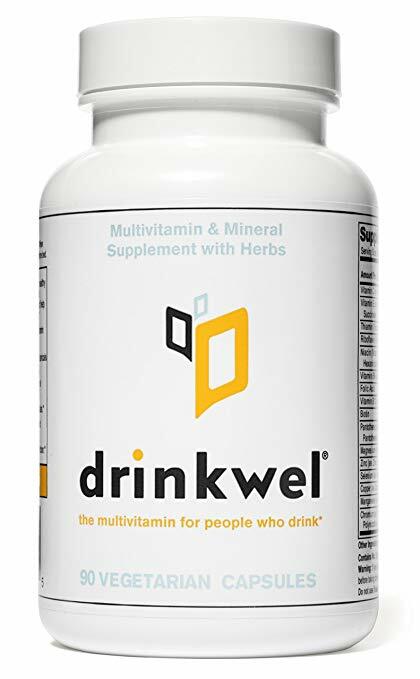 A PhD in Biomedical Science and a Naturopathic Physician formulated Drinkwel with the intent to replenish nutrients, support liver health and process alcohol induced toxins. It lets you enjoy the night out without worrying about the next day as it consists of full of liver-boosting ingredients designed to support your body’s metabolism after drinking alcohol. Think of Thrive+ as “sunscreen, but for alcohol.” It is designed to reduce alcohol’s negative health effects and aids in hangover prevention. Alcohol depletes the body of valuable vitamins and minerals and puts extra pressure on the liver, as the liver is responsible for processing alcohol toxins. Drinkwel’s formula helps by replenishing nutrients lost and supporting healthy liver function. It is formulated to help support your body’s normal metabolism after drinking alcohol. Vitamins B, C, and E to replenish vitamins during consumption. Ginger Root to prevent pain and nausea caused by stomach acids. Dihydromyricetin (DHM) to mitigate short-term alcohol withdrawal time. N-Acetyl Cysteine (NAC) to help the liver process alcohol and its intoxicating byproducts. Milk Thistle to support liver health and reduce lasting damage. Nopal (Prickly Pear) to protect from cellular oxidative stress caused by alcohol. The herbs Milk Thistle and Artichoke to support healthy liver function, protecting the hepatocytes and promoting healthy detoxifying. Green Tea and Schisandra are additional herbs that support liver health. Schisandra fruit contains lignans, which protect the liver by scavenging free radicals. Bupleurum, also known as Chinese Thoroughwax, is known for its ability to protect the liver and is anti-inflammatory. Amino acids N-Acetyl Cysteine and Taurine to assist the body in metabolizing alcohol-induced toxins. Several key vitamins and minerals that may become deficient with continued alcohol consumption: Vitamin C, Thiamin, Vitamin B6, Folic Acid, Riboflavin, Copper, Magnesium and Selenium. DHM is a powerful flavonoid extracted from Hovenia Dulcis (a Japanese raisin tree) to preserve the highest efficacy and purity — that helps break down toxins released from alcohol. Vitamins C & B Complex supports your body’s natural protective enzymes so you can stay sharper, healthier and more energetic. Milk Thistle delivers antioxidant-rich silymarin (a flavonoid) to reinforce and help keep your liver in check after a night of drinking. Taurine is from a vegan source. Helps support healthy lipid metabolism in the liver. Korean Pear Extract naturally contains antioxidants and vitamins. Moreover, it tastes as good as it sounds. Red Ginseng and Green Tea Extracts provide antioxidant effects and help counter potential inflammation caused by drinking. NAC (N-Acetyl Cysteine) powerful amino acid and antioxidant that helps neutralize toxins in the liver by boosting levels of glutathione. Electrolytes replenish lost nutrients, while refuelling your body. 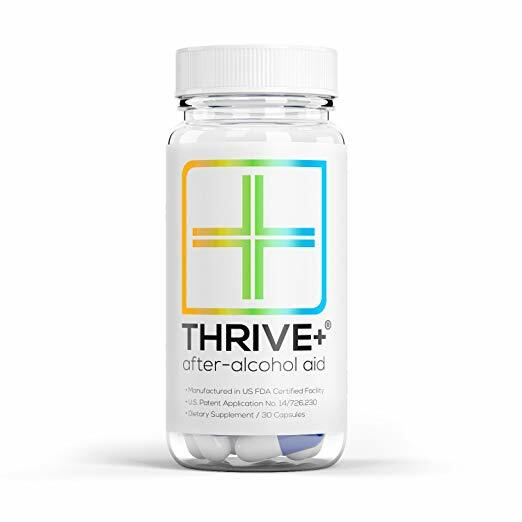 Thrive+ After-Alcohol Aid is a patented solution (Granted Patent: US 9603830 B2) designed to mitigate the negative effects of alcohol. It works by reducing short-term alcohol withdrawal, replacing lost vitamins, and providing your liver with what it needs to break down alcohol and its toxic by-products. The After-Alcohol Aid is completely based on clinical research done in publications such as The Journal of Neuroscience. Morning Recovery – The Food and Drug Administration (FDA) have not evaluated the statements on the official website. 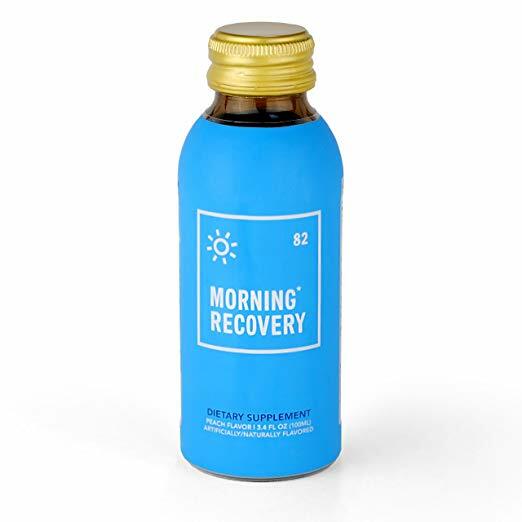 Thrive+ shortens the hangover but do not necessarily make it less uncomfortable. Be the first to comment on "Thrive+ vs Drinkwel vs Morning Recovery"